Hiya guys! I have been looking forward to sharing these swatches since around Spring break, but again this was one of my posts that had to be delayed due to health issues. 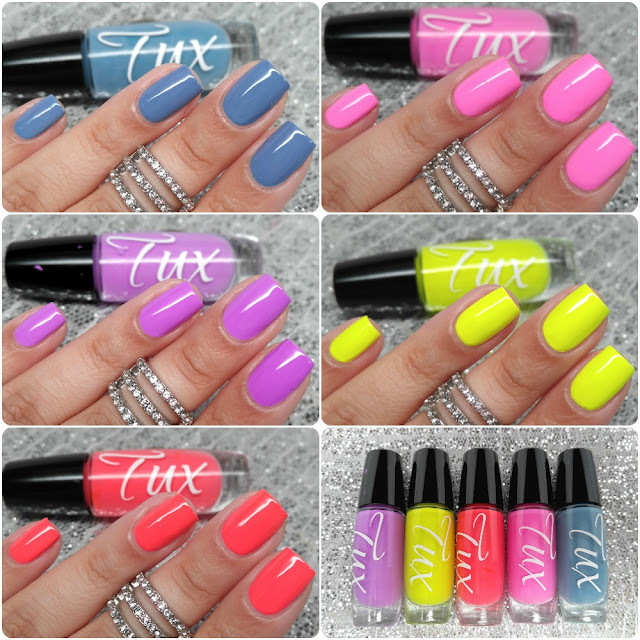 Woo... *insert sarcasm* But it's finally time to share my swatches for the Uptown Funk Collection by Tux Polish! Now this is a 12-piece collection so I am going to be breaking this into two reviews, the cremes and the glitters. In today's review I will only be showing the five creme shades that have been making us polish girls drool for weeks. Let's go ahead and get started. The Uptown Funk Collection by Tux Polish will be releasing tomorrow Friday, April 22nd at 8 a.m EST. Each full-size (10mL) polish will retail between $9.00 to $10.00. The collection will be sold as a whole (12 polishes), individually, and as sub-sets. Don’t Believe Me Just Watch can be described as pastel-neon creme. I'd like to note though that under direct sunlight this one does appear more on the neon side. The formula was really opaque and has a smooth application. The dry time was incredibly fast, which just blew my mind and is something that carries over all the cremes. Once it's dry the polish naturally dries to a semi-matte finish. Shown in two coats plus topcoat. 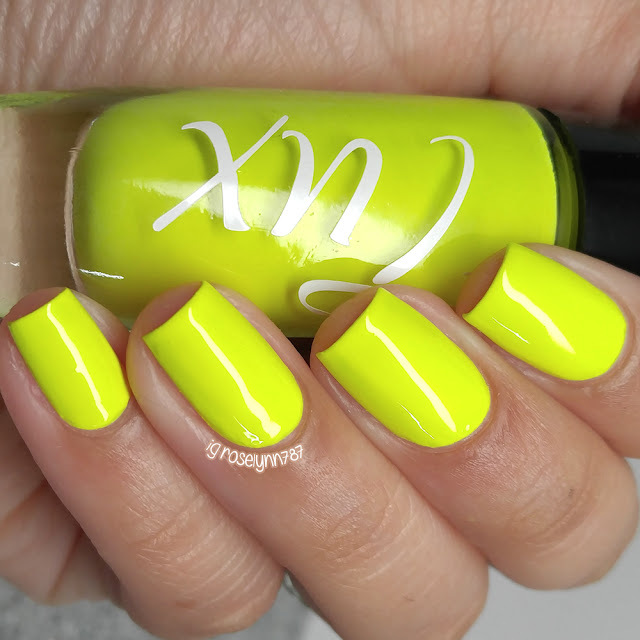 Girls Hit Your Hallelujah can be described as a pastel-neon pink creme. Helloooo Barbie! Seriously this couldn't be more Barbie if she made it herself. And with all the careers Barbie has had over the years, polish maker is bound to be next. Now even though I love all cremes as a whole, if there is a single must have then this is it. It marbles, stamps, and glows so brightly under black-light! The formula is smooth and has perfect opaque coats. Again super quick dry time and dries semi-matte. Shown in two coats plus topcoat. I’m Too Hot can be described as pastel-neon coral creme. And if I had to pick another favorite then this would be it. 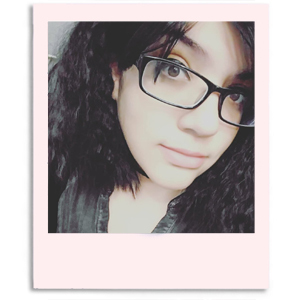 This is one of those super rare times I'm actually in love with a coral against my skin-tone. The formula on this one is perfection, it's only one sleek easy coat for an opaque finish. As a preference though I did add a thin second coat. And again I have to mention that dry time! It's super quick and leaves behind a semi-matte finish. Shown in two coats plus topcoat. Saturday Night can be described as a pastel-neon blue creme. I do feel this leans more towards pastel than neon, I actually wouldn't coin it as neon at all as the color is too dusty. The formula is opaque, but does have some streakiness to the finish on a single coat. Naturally as a highly pigmented blue, there is minimal staining if used without a base coat. Super fast dry time and dries to a semi-matte finish. Shown in two coats plus topcoat. It should be noted that this polish had a lot of separation for me in the bottle though it did not affect the application. I spoke to the maker about this issue and she has assured me that every listing will include a disclaimer to address the separation happening due to the high pigmentation of the shade. In my experience, the bottle went back to normal as you can see in the photos after some shaking. For the launch the maker has decided on adding three mixing balls versus the two I had in these bottles to help with the issue. Hollywood can be described as a pastel neon yellow creme. I almost feel like I painted my nails with a yellow hi-lighter because of how bright and fun this looks. The formula however is notably patchy and does not self-level well. Although opaque in two coats I felt it needed the third to help even out the streaks on the nail. The consistency is also a tad bit on the thicker side than the rest of the cremes. It still ends up drying just as quickly though and does have a semi-matte finish once its dry. Shown in three coats with topcoat. And now the moment we've been waiting for... the stamping photo. Yes, these do stamp perfectly over both white and black! Overall I'm definitely impressed with the pigmentation of these cremes and their ability to stamp. As someone who is a huge fan of nail stamping these have me completely sold. They can also watermarble, though some are better than others at it. The two with the best results being With Girls Hit Your Hallelujah and Don't Believe Me Just Watch, the worst being Hollywood. In a nutshell, these cremes are made for us polish girls that love to do nail art. Whether that be watermarbling, nail stamping, or simply gradients these are a must have for those purposes. Another nice thing to note is that most of these glow under black-light! So tell me guys, are you sold on these cremes as much as I am? Do you think you'll be picking these up for yourself? To recap, the Uptown Funk Collection by Tux Polish will be releasing tomorrow Friday, April 22nd at 8 a.m EST. Each full-size (10mL) polish will retail between $9.00 to $10.00. The collection will be sold as a whole (12 polishes), individually, and as sub-sets. What a great collection of cremes-- now I have Uptown Funk running through my head! But these are really fun; I especially love I'm Too Hot! Oh my goodness, I NEED Saturday Night! Oh, they stamp...alright, I need them all then! This collection is so gorg! Beautiful swatches love! These are gorgeous, but that blue is so unique! What a great collection! Now I have the song stuck in my head! I am completely head over heels for these, your swatches are perfection! Ahhhh these are beautiful! !! Beautiful swatches love! !